At the very frontiers of science, professor Stephen Hawking invites you to be a fellow traveler on an extraordinary voyage through space-time. Full-color illustrations. Stephen Hawking's phenomenal, multimillion-copy bestseller, A Brief History of Time, introduced the ideas of this brilliant theoretical physicist to readers all over the world. Now, in a major publishing event, Hawking returns with a lavishly illustrated sequel that unravels the mysteries of the major breakthroughs that have occurred in the years since the release of his acclaimed first book. The Universe in a Nutshell • Quantum mechanics • M-theory • General relativity • 11-dimensional supergravity • 10-dimensional membranes • Superstrings • P-branes • Black holes One of the most influential thinkers of our time, Stephen Hawking is an intellectual icon, known not only for the adventurousness of his ideas but for the clarity and wit with which he expresses them. In this new book Hawking takes us to the cutting edge of theoretical physics, where truth is often stranger than fiction, to explain in laymen's terms the principles that control our universe. Like many in the community of theoretical physicists, Professor Hawking is seeking to uncover the grail of science — the elusive Theory of Everything that lies at the heart of the cosmos. In his accessible and often playful style, he guides us on his search to uncover the secrets of the universe — from supergravity to supersymmetry, from quantum theory to M-theory, from holography to duality. He takes us to the wild frontiers of science, where superstring theory and p-branes may hold the final clue to the puzzle. And he lets us behind the scenes of one of his most exciting intellectual adventures as he seeks "to combine Einstein's General Theory of Relativity and Richard Feynman's idea of multiple histories into one complete unified theory that will describe everything that happens in the universe.” With characteristic exuberance, Professor Hawking invites us to be fellow travelers on this extraordinary voyage through space-time. 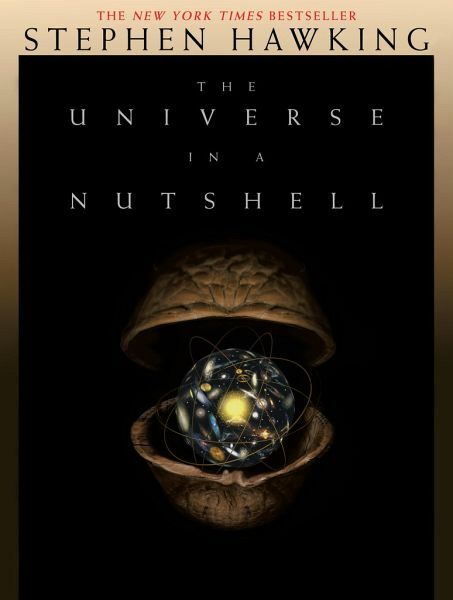 Copious four-color illustrations help clarify this journey into a surreal wonderland where particles, sheets, and strings move in eleven dimensions; where black holes evaporate and disappear, taking their secret with them; and where the original cosmic seed from which our own universe sprang was a tiny nut. The Universe in a Nutshell is essential reading for all of us who want to understand the universe in which we live. Like its companion volume, A Brief History of Time, it conveys the excitement felt within the scientific community as the secrets of the cosmos reveal themselves.